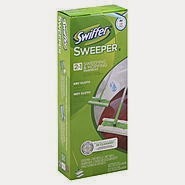 Kmart is selling a Swiffer Sweeper 2 in 1 starter kit for $10.99. TopCashback's offering $12.50 cashback on the deal making the cleaning product FREE!! Please note that only NEW TopCashback members are eligible for this promotion.